Beta Air. Marketing the Be-200. In English and Russian. Exotic Warbird Marketplace BULLETIN BOARD. Buy/Trade/Sell Russian and other aircraft. Il-14P.They did have one for sale, but now there only are photos and tech details of the airplane. Rus Aircraft English and Russian. Buy/sell/trade aircraft and parts. Sukhoi Civil Aircraft. In English. Yak-Aviation. They sell Russian and Eastern European aircraft and parts. Aeroflot Russian Airlines official Web site. Airline History - Russia. A comprehensive collection of all airlines that do or have operatred in Russia. Use the drop-down list beneath "Select a airline:" to learn the status of any Russian airline. Frequently updated. S7 Airlines. Formerly known as Siberian Airlines. Hubs in Moscow and Novosibirsk. Volga-Dnepr Airlines. Uses An-124 aircraft. Aviahelp. Aviahelp is the largest russian independent aviation spares supplier. BAI. Supports a wide range of Russian aircraft including fighters, transports and helicopters. Oscar-Avia Group. Supplies a wide variety of aviation engines, modules, assemblies, spare parts, fuels and lubricants for Russian-made aircraft and helicopters. PLEASE Note: These sites are mostly commercial in nature. I do not endorse any of them and I do not make any money from any of them. Caveat Emptor, as always. Bearcraft On-line. The Russian Aviation Business Navigator. CollectRussia.comMemorabilia from all eras of Russia. Present features are WW2 Soviet Pilots and Soviets in Afghanistan. (A bit pricey). 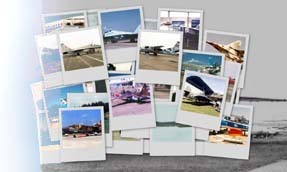 Cool Stuff & Great Gifts: Aviation from Incredible Adventures. AviaPress Books, magazines, models, decals (Commercial site). I have purchased from this company in the past. USSR-Russian Aviation and Space Collectables. Formerly the Alex Panchenko site, still operated by him. "Rare pieces, once owned by cosmonauts, pilots, museums, engineers, designers and officials of the USSR and Russia."